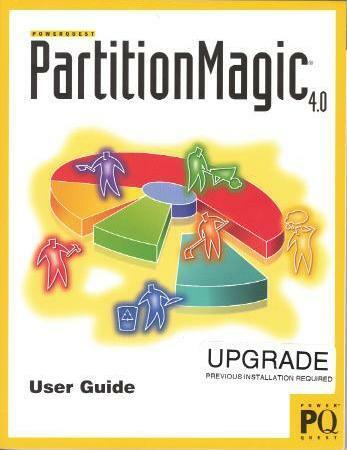 Some time ago, I wrote an article on the Partition Magic 4.0 Upgrade (OS/2 For You, March 1999). In it, I urged you to stick with Version 3 if you run an OS/2 only system, and to consider the upgrade if you use multiple operating systems on your computer like NT or Win 95/98 along with Warp. Since that time, PowerQuest has announced that they "officially" will no longer support Version 3, which leaves us OS/2 users in a somewhat awkward position (news, huh?). It therefor seemed time to revisit both Version 4.0 and my original article. Hence, this review. As it turns out for us OS2 users, there is still a subdirectory on the Partition Magic CD called \OS2INST. From this subdirectory, using a full screen DOS window, you can run the script makedisk.bat, which will prompt you for a floppy drive (usually a:), and then will format the disks (it takes two) and load the necessary files on them to run the DOS version of Partition Magic 4. I think this is pretty cool, especially given Microsoft's attempts to destroy DOS support in all of their products. (If you don't believe me, try running most DOS programs in the latest versions of MS 2000 stuff.) And, notwithstanding my original gripe about Partition Magic's cheesy sniffer program built into PM4, creating the DOS disks does not require a previous version for your upgrade to work. On disk 1 you wind up with a bootable DOS disk, using Caldera's Opendos 7.01. It also loads the necessary mouse drivers and the Partition Magic program. Floppy disk 2 contains the help files. To run the program, you simply shut down OS/2 and reboot using the floppy disks. Voila! Or almost. There are a couple of counter intuitive gotchas in this release. First, there is an obvious question as to how the heck one updates those two floppy disks as PowerQuest releases the latest greatest patch/update. (By the way, thanks to Eric Draney of PowerQuest Technical Support who graciously helped me with these questions.) For example with Partition Magic 4.0, the latest patch for DOS & OS/2 is a file over 2 Megs in size called PMDOS401.ZIP. This file unzips into a small README and a large execut-able (en401dos.exe) which is also over 2 Megs. To install the patch, PowerQuest says that you run the en401dos program, which whirrs around and ultimately will allow you to specify a drive letter to perform the update. You put Disk 1 (your boot floppy, the one with Partition Magic on it) into drive a: and the installer will perform the update. Well on my system after following the directions, there was no completion message when I did this -- in fact, I got an error message about a "failure writing to disk." Truth is, I suspect that the installer script wants to write more to the floppy than it will hold or something like that so that the patch blows out. I'm going to let Power Quest know, but in the meantime (as usual) there is a workaround. Copy the floppy disk contents to a subdirectory on your hard disk. Then copy the patch file to the same directory and run it in a full screen DOS session. The files will be updated, and you can write the updated files back to your floppies. OK, having done all this magic, you are armed with the latest greatest version of Partition Magic and ready to do all those neat things to your hard disk like creating, deleting, and resizing everything. Well, almost. If you want to create extended partitions (and most of us Warpheads do), BEWARE! There is a big time gotcha here -- if you use Partition Magic 4 to create an Extended Partition, it will automatically use some new kind of partition type which Partition Magic calls an "Extended X partition." The public explanation for this partition type (per PowerQuest) is to allow for Fat32 partitions to exist in an extended partition. Personally, I find the explanation hard to believe. At the risk of sounding paranoid, I think that this is simply another Microsoft created horse puckey trick and the only purpose of this file type is to screw up other operating systems like OS/2. I would point out that Partition Magic 3 worked just fine. For OS/2 this is major bad news. I know, I've been bit. If you use the Partition Magic 4.0 DOS diskettes to take that neat 14 GIG hard disk, set up a nice primary C: boot partition, and then divy the rest up into reasonably (say CD ROM back-uppable) sized logical partitions, you are toast when you try and install OS/2. By toast I mean that your install will choke big time with all kinds of corrupted partition table errors and you will never get the install completed. Now isn't that just spiffy? Humnf. Is there a cure? Of course, or I probably wouldn't be writing this article. PowerQuest has available on their FTP site a file called Ptedit.exe (about 400+k). Download the file, and copy it onto the second floppy disk you created, the one with the Help files. This disk 2 has enough free space to do this. Or in the alternative, if you follow my suggested workaround for installing patches, the file will be created when you do the update. Either way, after you have created your partitions, and before you try to install OS/2, run Ptedit, which will show the type of partitions for your hard disk. You will be able to notice that for the Extended Partition that you have created, this file type will show as 0F. Use the Ptedit program to change this file type to 05. Save. That's it. Works like a charm, and you are now set to go off and do your OS/2 thing. This will also work if you are running OS/2 and NT on your system, or Linux. By the way, at least in my upgrade package there is no mention of any of this stuff; not in the various Acrobat PDF files, not in the printed user manuals, not no where. Nor was the Ptedit.exe program on my CD anywhere to be found. This may or may not have been corrected in later shipping versions. There is one more thing to be aware of, at least "officially." If you are running Win95/98, PowerQuest indicated that you should not use this solution of changing the file type because Win 95/98 both require the 0F file system type. In all candor, this explanation sounds suspiciously like Microsoft FUD (Fear, Uncertainty, and Doubt) being repeated without analysis, but I thought I should pass the caveat along just in case. Also, since I have Win95 (SR2) & OS/2 working just fine on one system that's using the 05 partition type, the proffered explanation makes me wonder. Avoid Fat32 partitions period. After all, neither NT nor OS/2 can currently use them, making the file type pretty much a dead end. When OS/2 is installed, go back and do the Windows 95/98 installation. Boot from your Partition Magic 4 floppies, and set IBM Boot Manager as the active partition. Reboot and you're back to where you want to be. I know this sounds complicated, but it's harder to explain than to do. The real solution is to avoid FAT32 partitions (and in my personal opinion, Win 95/98). I like to run OS/2 and NT on a system, with each using their own file system (HPFS and NTFS) and shared FAT16 partitions to hold common documents. And if you really want to be bold, you can find the program pinball.sys file from NT 3.51 somewhere which will let NT still access HPFS partitions. At least until the next version of WinNT. I hope that this review helps you, because for all my griping I do like the folks at PowerQuest. They really know hard drives, as evidenced by their other programs like Drive Image. Do I personally use Partition Magic 4.0? Yes, I finally broke down after learning the things I'm sharing with you here. Even though this version is a little fussy to setup multiple operating systems on a single computer, it does the trick. And I really like the new Boot Magic's ability to handle Winx, OS/2 and Linux. I can verify that the Linux partitioning system works, having used it for Red Hat and SuSE. On one system I had Boot Magic controlling SuSE 6.1, Win95, OS/2, and an OS/2 maintenance partition. Way cool. On the other hand, if you're confused by this article and its discussion of partition types, file systems, and patch files, then I would recommend that you stick with Partition Magic 3, which will work just fine under OS/2 without any tweaking. In that case, make sure you keep your Win95 partitions Fat and all will be well. Besides, with OS/2 and Windows both on your system, after Windows crashes, you can access the hard disk and try and fix Windows.